Ships today if you order in the next 6 hours 32 minutes. 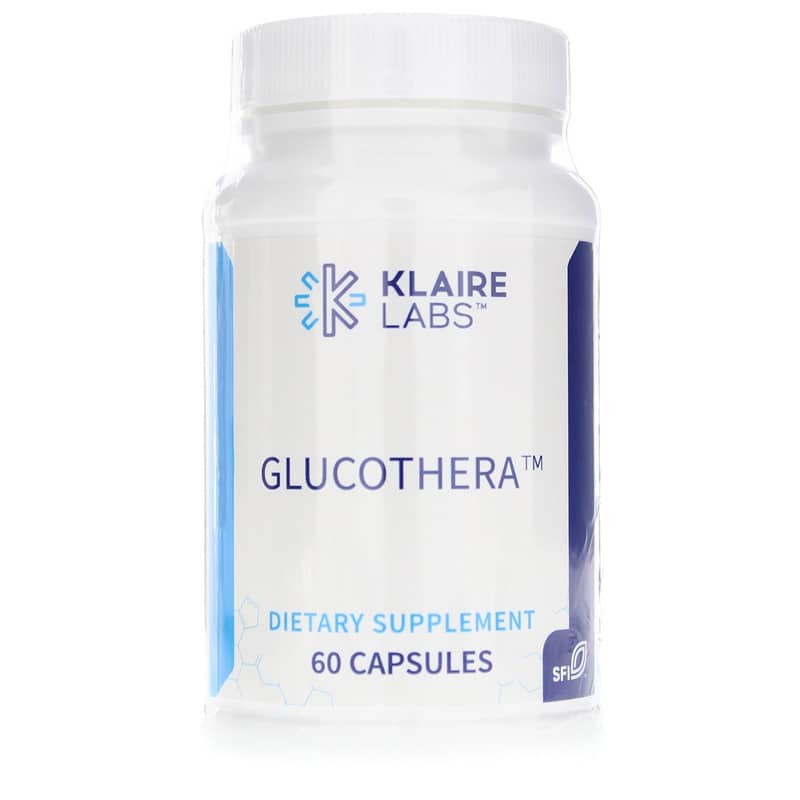 GlucoThera from Klaire Labs is a dietary supplement intended to provide key nutrients for glucose metabolism. Glucose metabolism refers to how your body absorbs glucose, or sugar, from food and uses it to carry out internal functions. How well your body performs glucose metabolism can affect your energy levels and whether or not you develop diabetes. Diabetics and others with impaired glucose tolerance are highly susceptible to the tissue-damaging effects of advanced protein glycation. Glycation takes place when glucose in your bloodstream bonds with proteins and forms new molecules, known as advanced glycation-end products, or AGEs. As these AGES multiply, they can lead to accumulated destructive effects on blood vessels, nerves, and the lens of the eye. 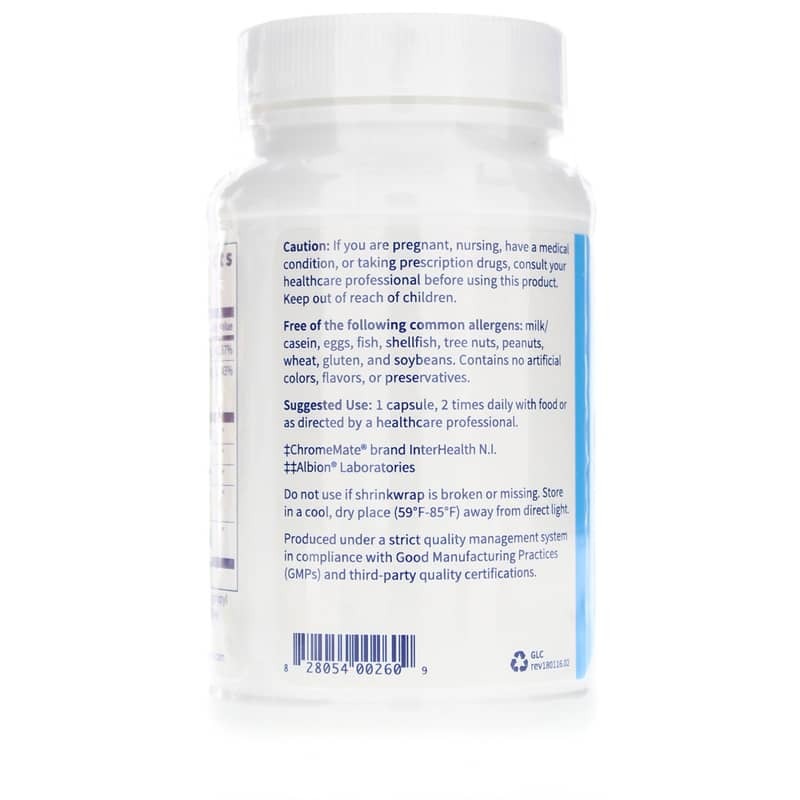 To minimize the potential for such reactions and provide focused support for insulin function, GlucoThera provides a potent mix of nutrients and botanicals to aggressively and efficiently support normal glucose metabolism, interrupt the glycation process, and provide antioxidant protection against tissue damage. 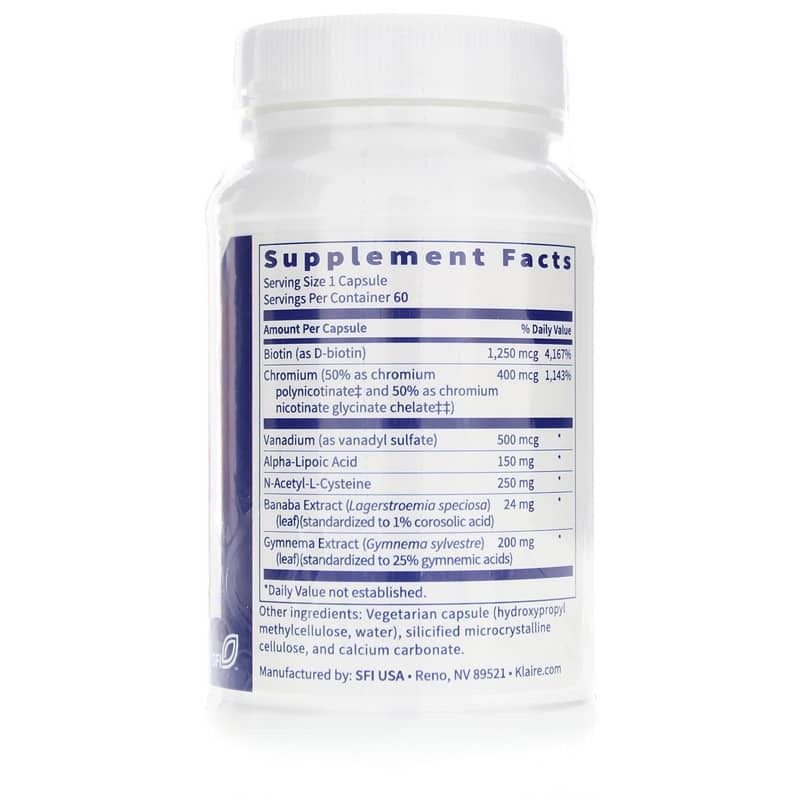 This formula can be used with Klaire Labs MultiThera multiple vitamin/mineral supplements for expanded benefit. Other Ingredients: Vegetarian capsule (hydroxypropyl methylcellulose, water), silicified microcrystalline cellulose, calcium carbonate. Adults: 1 capsule, 2 times daily with food or as recommended by a healthcare professional.